The road to the new Ford Fusion Hybrid's 47 mpg – expected to be America's most fuel-efficient non-rechargeable sedan – can be traced back to Ford's electrified vehicle team and the nearly 500 patents Ford now holds for its hybrid technology. "Ford continued to invest to develop new products like our new Fusion hybrids during the depths of the economic downturn," said Chuck Gray, Ford chief engineer of Global Core Engineering Hybrid and Electric Vehicles. 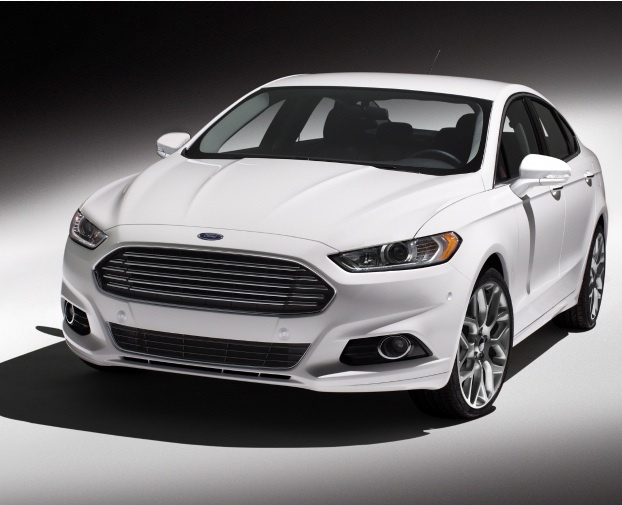 "We succeeded in transforming our lineup with leading fuel efficiency, thanks in part to the many Ford inventors who are helping make our Fusion Hybrid America's most fuel-efficient sedan." One of those inventors is Ming Kuang, who has helped grow Ford's hybrid patent portfolio from 10 in 2000 to nearly 500 today. Kuang's reason is simple, even though his inventions are complex and among the most advanced technologies available on Ford Motor Company hybrid vehicles. "The work on the Fusion Hybrid is all about a commitment I made a long time ago to have a positive effect on our environment," said Kuang. "It's about helping make the world my children live in – and the world my children's children will live in – a better place." Kuang, 52, is technical leader in vehicle controls at Ford Electrification Research and Advanced Engineering in Dearborn, Mich.
Kuang's innovations can be found throughout Ford's transformed lineup, one-third of which will feature a model with 40 mpg or more in 2012 and build on the company's commitment to go further by giving fuel-efficiency-minded customers the power of choice. His name is on 40 of the 461 patents held by Ford that fall under the hybrid category. Twenty-five of the 40 patents are in production including key components of Ford's innovative powersplit architecture system found on vehicles like the all-new Fusion Hybrid and Fusion Energi plug-in hybrid. The all-new Fusion Hybrid is anticipated to deliver 47 mpg city and 44 mpg highway and the new Fusion Energi, arriving this fall, is anticipated to deliver more than 100 MPGe – more than the projected efficiency of the Toyota Prius plug-in hybrid model. For example, one patent covers the display system for the Fusion Energi plug-in hybrid that shows how efficiently the power of the car is being used. Fusion Energi, scheduled to be available later this year, is projected to achieve a better miles per gallon equivalent in electric mode than Toyota Prius plug-in hybrid. "I'm proud to have always had the resources and freedom to keep pushing forward on innovations for those vehicles," said Kuang. "Being part of an organization that has so much respect for research and advanced engineering is what really gets me out of bed every day." As recent as 2000 Ford owned just 10 patents that it classified as hybrid technology. Things slowly began to change with the evolution of the Escape Hybrid – the first hybrid vehicle from a U.S.-based automaker that was designed and developed in the early 2000s. Still, by 2002 Ford only had approximately 30 hybrid patents. Kuang, who graduated from the University of California-Davis in 1991, was at Ford in those early days of hybrid technology development. "The level of cohesiveness wasn't anywhere close to where it is today," said Kuang. For example, research and advanced engineering and product development didn't work as closely as they do today, slowing the pace of innovation. However, the amount of green patent activity began to increase significantly in the mid-2000s, Kuang said. With the launch of the One Ford strategy designed in large part to accelerate development of new products customers want and value, a more efficient method of innovation emerged. "We stopped trying to create and fix one-off, niche vehicles, and it made all the difference in the world," he said. With better collaboration, inventors are more in tune to where opportunities exist. In the last three years alone, the number of inventions submitted to Ford's legal team to be considered for patents has increased more than 25 percent. But David Kelley, a Ford attorney who handles hybrid patents, said Ford doesn't engage in the practice of getting patents for the mere sake of getting patents. "We get the high-quality patents that Ford really needs," said Kelley. "With the high level of innovation from people like Ming, it makes sense that we should see our hybrid patent levels increase the way they have." Eric Kuehn, Ford's chief engineer, global electrified programs, said that level of innovation makes him happy to be part of the team working on vehicles including the Fusion Hybrid and Fusion Energi plug-in hybrid. "One of the best parts of being involved with Ford's electrified vehicle group is that they are never satisfied," said Kuehn. "They are always striving to go further and see how far they can push toward creating even larger gaps between Ford and its competitors. That is ingrained in the culture and mindset of the team here and isn't going to change anytime soon."